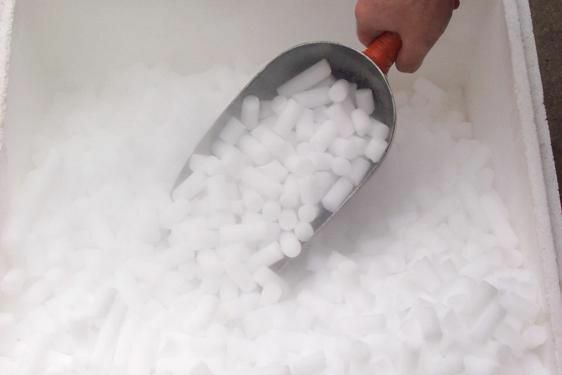 Dry ice is carbon dioxide (CO2) in solid form. Dry ice is obtained by cooling liquid carbon dioxidehttp://www.futura-sciences.com/fr/news/t/developpement-durable-1/d/le-co2-se-delocalise-aussi_22969/ to below -78.5 °C (at room temperature). Dry ice is used as a refrigerant as well as for more entertaining applications such as the production of smoke for the cinema or on stage. Dry ice is also envisaged as a storage method for the capture and sequestration of CO2.